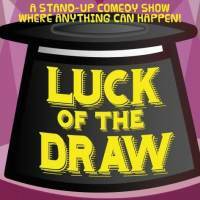 Luck of the Draw w/ Karen Kilgariff, Todd Glass, & More! At Luck of the Draw, there's no telling what's in store for each comedian! LA's funniest comics will draw a slip from a hat and must obey whatever wacky thing it commands. There might be impressions, costumes, puppets -- who knows!